OH MY!!!! NOOOOO! this is the saddest thing to happen! imagine how sad the gf would be! =((( stupid insane killer! he only thought of her and nothing else. such a wonderful loving guy. Im sure you would do the same. 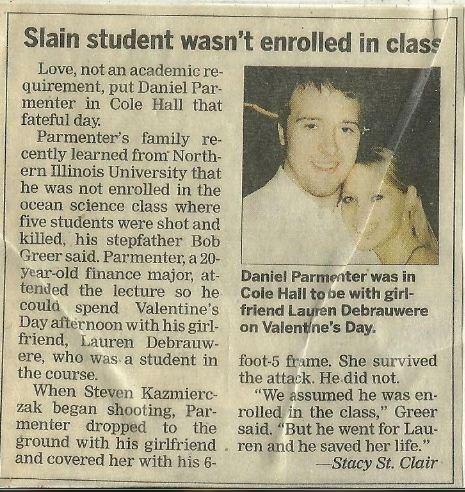 I read about this through facebook, he was a hero. The girlfriend eventually moved on. Of course everyone has to move on eventually, but it will be damn tough.